We have entered the Age of Convergence, an era in which all of the marketing and communications disciplines are competing to play the lead role and add the most value to their organizations and clients. Inside corporations, nonprofits, and government agencies, communications professionals must prove their value daily, demonstrating that they are just as creative, just as strategic, just as proactive as their counterparts in marketing--and demonstrating that they can add just as much value to the organization's bottom line. In the agency world, public relations firms are competing not only against one another but also against ad agencies, digital specialists, even management consultancies. They need to show that they are at least the equal of these other firms in terms of delivering insight, multiplatform content, and engagement. Fortunately, we are also entering the Age of Relationships, an era in which creating, nurturing, and leveraging stakeholder relationships is of critical importance to all organizations and all those who occupy the C-suite. And this is PR's sweet spot, the special ingredient that differentiates us from all of those competing disciplines and gives us the edge when it comes to creating meaningful connections, building trust and credibility, and truly engaging with consumers and other stakeholders. 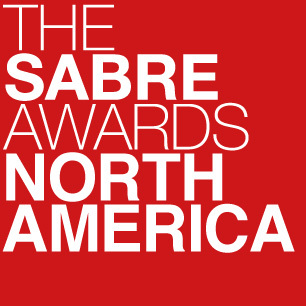 The SABRE Awards have always been about engagement, credibility, and relationship building. Now more than ever you need to be able to demonstrate your credentials in these areas, and the peer reviewed endorsement of your abilities that SABRE provides is increasingly valuable. Highlights from the Holmes Report's coverage & events, spanning October 2017 to September 2018. Full highlights from the PRovoke18 Global PR Summit and the 2018 Global SABRE Awards, which took place at the Watergate Hotel in Washington DC from 22-24 October. Highlights from the 2018 Asia-Pacific Innovation Summit and SABRE Awards, which took place 11 September in Singapore.